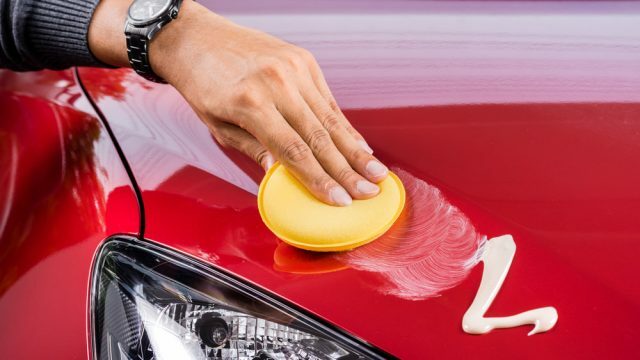 It is quite common that car owners get the fanciest and most expensive car care product but do not know how to actually use that product. Let’s talk about waxes and polishes today. Some people apply the wax as their assumption whatever they have heard from others. But the fact is, there are some proper methods to apply it. If you do not follow the method, then the application of wax would not be of any use. 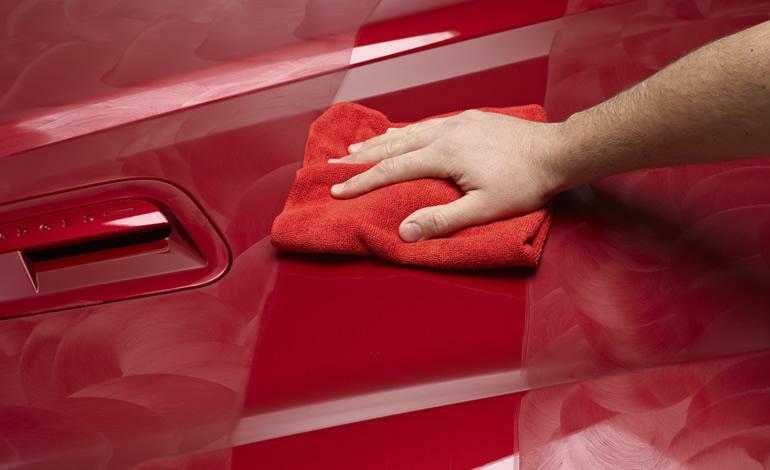 Instead of giving shine and protection to your car’s paint, it would make it dull and rough if not applied correctly. 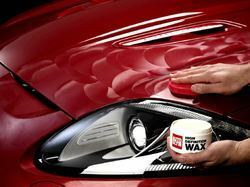 After selecting the wax fit for your car the next step is to learn how to apply it correctly. Here are some steps that we think will bring the best out of your wax. This is the first and most important point to apply car wax onto your car. The surface of your car should be dry and dust free, and you should be parked under a shade. Usually, people wash their car and after the wash, they apply it. But after the wash make sure that the surface of car, is properly dried. Wash your car nice and clean with good quality car shampoo. Buy an applicator for applying the wax. Usually, all the waxes available in the market have a sponge with them but if your wax doesn’t come with any sponge, buy a small sized foam. Polyfoam wax applicators are a good bet. Apply a suitable amount neither so much nor little. A suitable amount is best because the sponge moves with a flow on the car surface. Sponge with more amount of wax applied will not move continuously on the surface. Now hold the sponge in your hand and start to apply the wax on your car. Move the sponge in circles on the surface of the car with a medium amount of pressing force. You could see the circles forming on the body of your car. If you notice that the circles are fainting or not properly forming, apply the same amount of wax on the sponge as applied before. Now doing the same, cover the whole car with applying wax in circles. You could see a pattern of circles on your whole car like the picture below. You could also apply wax on the windows, mirrors and front and back screens but it is hard to buff off. The surface will become a little coarse due to the application of wax. Now find a large and very soft piece of cloth. A soft cloth will easily move on the coarse surface. Neither a soft cloth would bring scratches on your paint. A hard cloth will create scratches and neither it would buff off properly. A miracle towel would be enough good for this purpose. Hand towel will also be perfect for it. 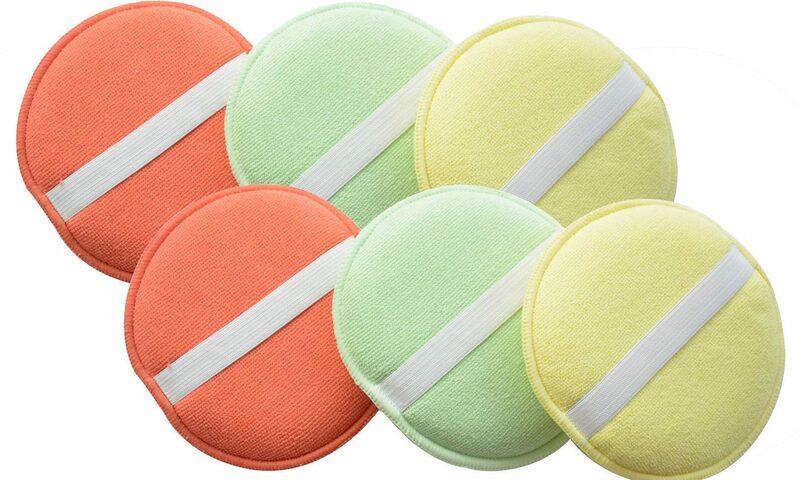 It is recommended to use a microfibre cloth which is available on Pakwheels store. Now fold the large piece of cloth such that it only remains a little bigger than the size of the sponge. Now buff off the whole car with cloth. Move the cloth with a large (not so large but more than medium) pressing force over the surface of the car. Move the cloth over the surface horizontally. Wipe your car with cloth such that the circles disappear as you wipe with the cloth. Keep the force such that it removes the circles. If you see that the circles are not disappearing then you should apply more force. 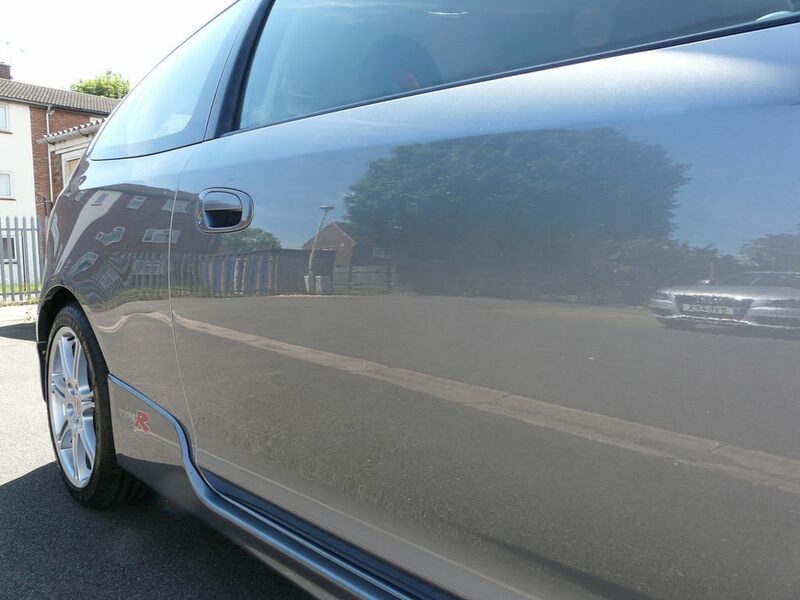 To confirm whether the whole car is buffed off, look the surface of the car from a specific side. For example, look the right side of car by sitting down and facing the trunk. See the whole side properly and if you see a perfect detail like a mirror then it is perfectly polished. If you see a dull place, then rub the cloth and see again. If you see it again, you can use a detail spray. See the whole car with this view as shown in the picture. Do not let the wax stay on the car for long. It would be hard to buff off if it stays for long because it starts to dry. 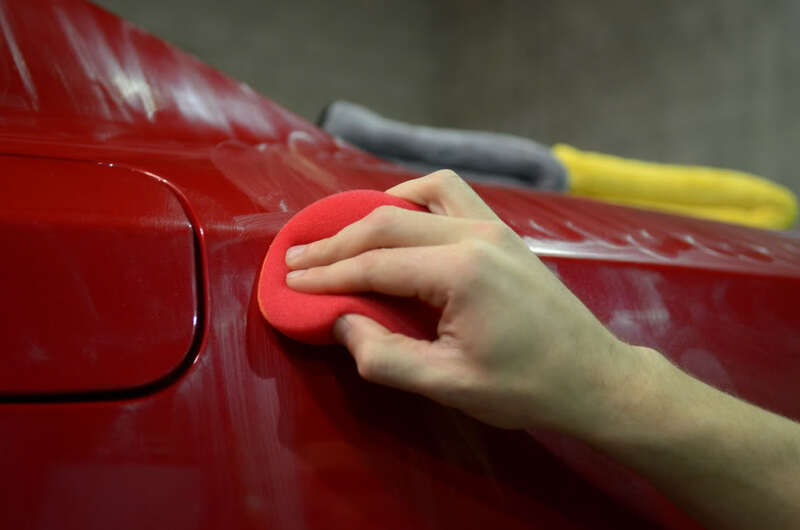 Cover your car with circled wax and when you finish applying it, then buff off with cloth immediately. Now, after following all the above steps, your car is properly waxed. Keep the cloth in your car and use it whenever you feel dust on the car. Wipe the whole car with the same cloth and the dust will be gone. 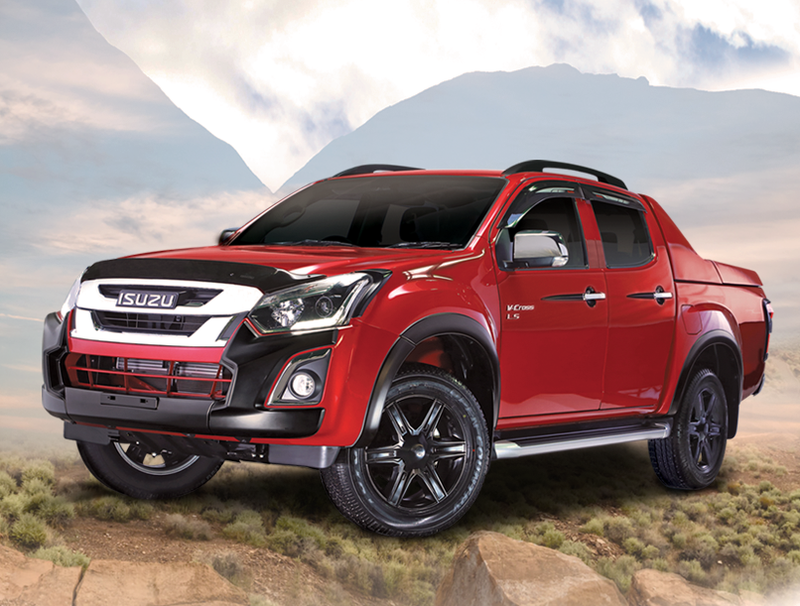 You can buy all sorts of car detailing products on PakWheels. If you have any more tips, share in the comments section below.